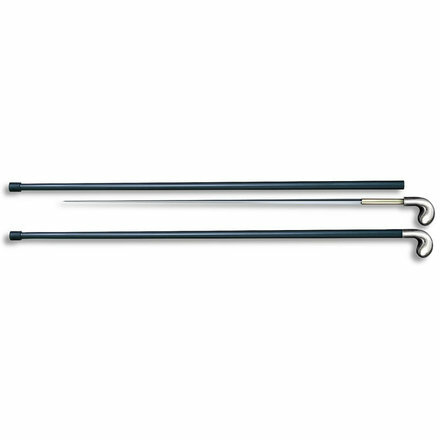 Sword Canes Cannot Ship to Califorina or Wisconsin. 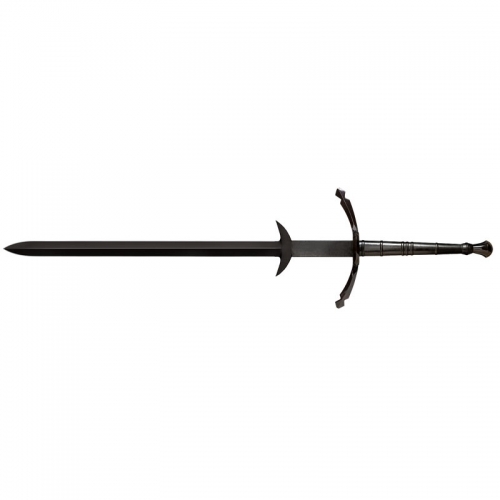 Cold Steel has long extolled the virtues of Sword Canes. These dapper and discreet self-defense tools are non-threatening and just plain stylish. Hiding in plain sight until needed – then they spring into action in a heartbeat! 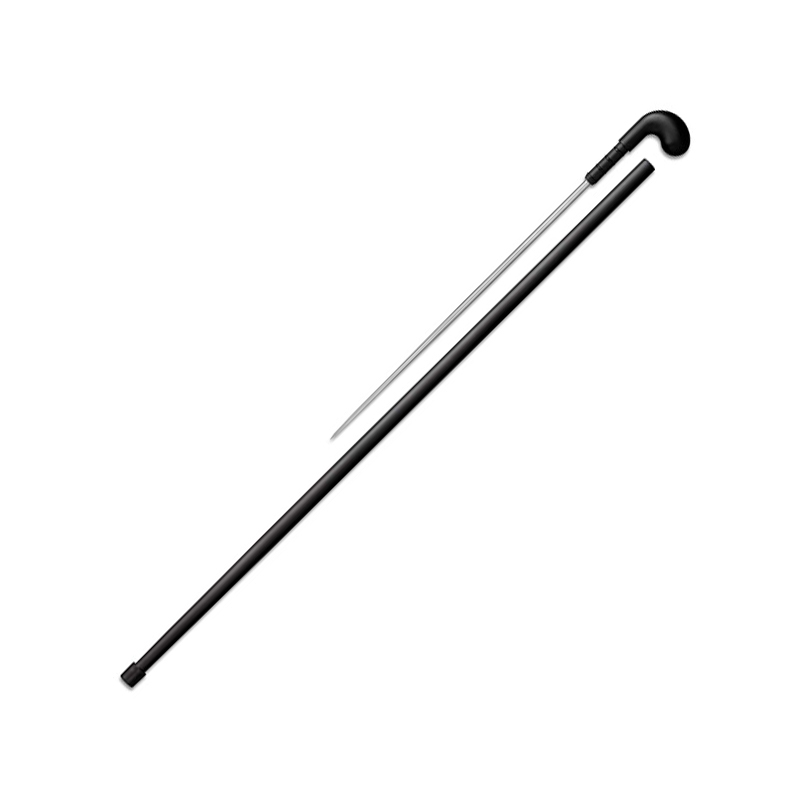 Our latest Sword Cane, the Quick Draw features a black aluminum shaft that is lightweight and durable, with a rubber ferrule tip to aid traction when walking on slippery or uneven surfaces. A short, swift pull on the Griv-Ex pistol grip handle will disengage the friction seal and quickly deploy a tapered 8mm thick and 18” long needle-tipped spike! This “Quick draw” style steel piercing implement is designed for rapid deployment, and when coupled with an ergonomic and intuitive pistol grip, even smaller or infirm wielders can bring this sharp little threat- deterrent into play in a flash! 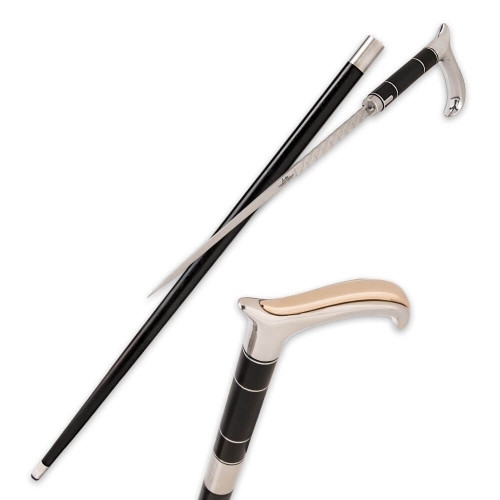 The Quick Draw Sword Cane is so inexpensive, so good looking, and so easy to use – there’s simply no excuse not to add one to your household today!